This is the perfect and budget friendly item if you want quality. The Promotional Lindor Balls Tube has a reputation that will speak for you. Looking for a cooler way to promote your business? Then you should definitely give the promotional Lindor Balls Tube some serious consideration. 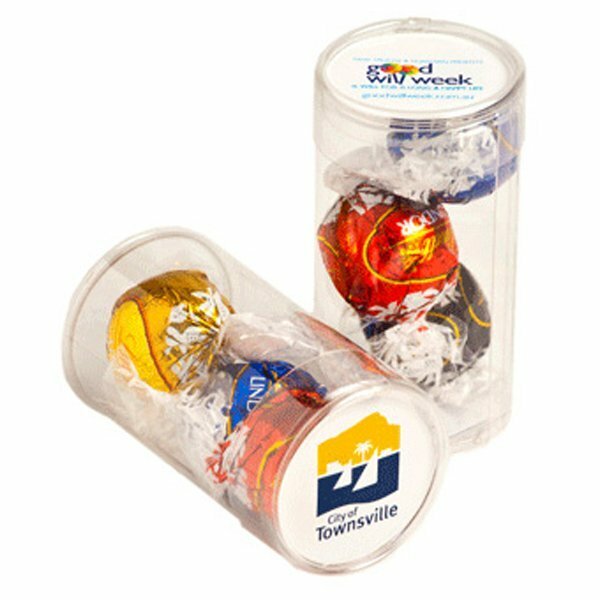 With charming looks and even more delicious contents, the custom Lindor Balls Tube is a great host to advertise your company and give your brand stronger awareness. The tube is 45mm in width and 85mm in height. But don’t let the small size deceive you. The Lindor Balls Tube may be small, but it’s guaranteed to give you huge results. With three Lindor Balls inside, that’s 36 grams worth of delicious Lindt chocolates. That’s right! They’re Lindt! No wonder this little thing can make such a huge impact. Any chocolate aficionado will tell you, when it comes to chocolates, you just can’t go wrong with Lindt. Advertising your brand using the personalised Lindor Balls Tube is really easy. Simply send us your custom design and we’ll have it placed directly on the tube. Your custom design can be printed in full colour on a 38mm diameter sticker, which will sit nicely on the lid. Hand them over during trade shows and you’ll be winning some new contacts. Give them to your suppliers during the holidays and you’ll be strengthening old bonds. Or for your staff, make this your gift to them on your company anniversary and they’ll be so appreciative. Our branded Lindor Balls Tube is a classy yet delicious giveaway, ideal for your parties and large events. Use these confectioneries to leave a unique impression! For more promotional giveaways, check our Brushed Heavy Twill Sports Hat and our other customizable hats and headwear! 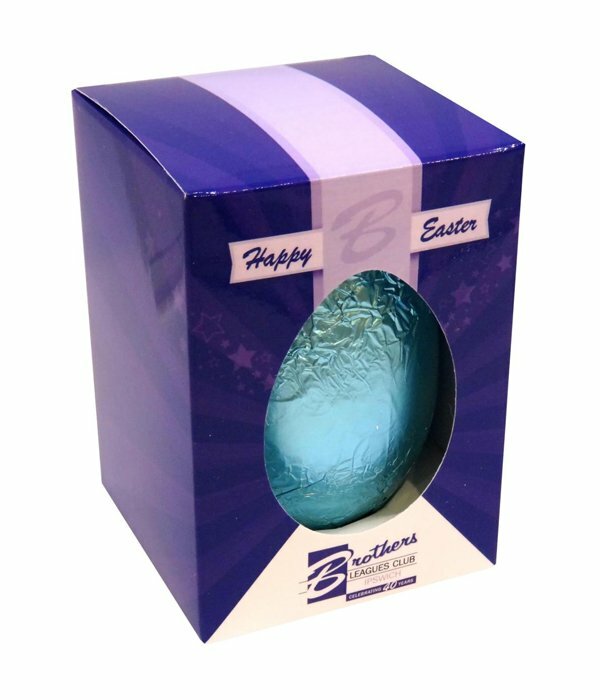 If you’re into other imaginative chocolate gift ideas, then do have a look at the decorated Lindor Balls 2 Pack Cello Bag or even the promotional Lindor Balls Big Bucket. So go ahead and shoot us a message on live chat in case you have questions. Or simply dial 1300 008 300. 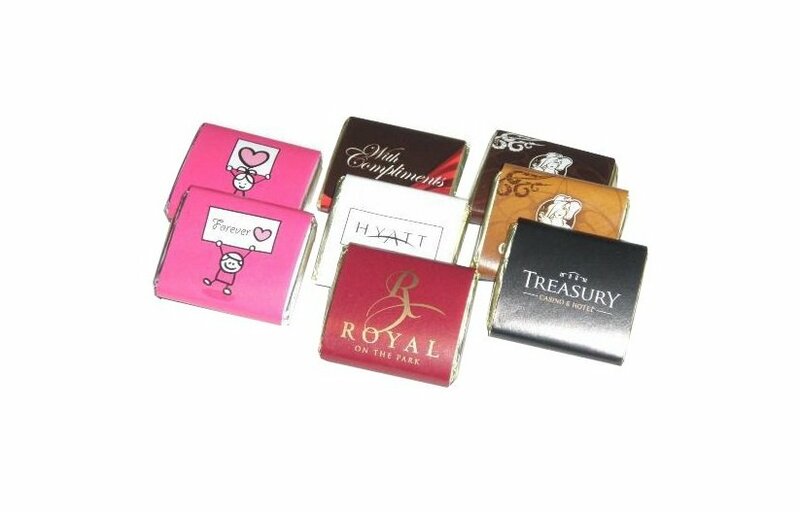 We have a team of chocolate, lolly, sweets and candy product specialists ready to assist you so do not hesitate to get in touch. Looking forward to hearing from you.